Millions of individuals search for products and services on the web each day. It is important to consider the various keyword terms that people use when looking for the information or product they need. Understanding the different search queries is a crucial part of any SEO marketing strategy, as every business has its own niche audience to target. In many cases, businesses will not study the different types of keyword searches. This can seriously affect companies search engine rankings. In this blog, I will discuss the three variations of search terms that people will use. We’ll also look at how businesses can take advantage of all three search types. Read on for more details on the key search engine keyword types. The first keyword type people use is informational search terms. These searches aim specifically towards finding informative content in relation to whatever the user searches for. More often than not, information search terms are for those looking to compare some of the more popular things in relation to the niche they look for. They act as the first step in helping people decide to find specifically what they are looking for. Ironically, the first step tends to be where many companies fail to rank in Google. Many businesses will only create promotional content without creating informative content that will help navigate the individual to their products/services naturally. What are the best things to do in Manchester? Which spa is the cheapest in Manchester? Where are the main nightclubs in Manchester? When is the Manchester Half Marathon? Who is voted the best SEO agency in Manchester? Will Manchester be busy today? How good is Manchester University? How to set up a Manchester Charity? Can you smoke weed in Manchester legally? This searches above fits under the category of an informative search term, as the searcher is clearly looking to find an answer to a question. This would be instead of finding a specific website or buying a service from a location in Manchester. The key to a successful website is to not just be obsessed by the money searches. The informational search queries are an important part of your online strategy. You want to adopt the effective frequency stance where you want to be seen in multiple places from question searches to transactional queries. If you are struggling to find what documents you can write about then visit answer the public as this is a free visual keyword research tool giving you loads of new content ideas for your blogs. The second keyword type out of the three is navigational search terms. Navigational search terms are searches that are used by those who are looking for a specific site. An example of this would be if the individual searched ‘Youtube’ as they want to navigate to that particular webpage. They would be looking specifically for that site to learn more about the services that they offer. These keywords are for those who know what they want to look for but might have an interest in learning more about specifically what they are looking for. For businesses, targeting these keywords to rank in Google is only really possible if that is the brand name. More often than not the company with that brand name will appear first. This is why doing in-depth keyword research is so important. It is also very important for your own company to make sure you rank for your brand name because if your potential clients are searching to navigate to your site you have got to be shown in the search engines otherwise competition could be stealing your traffic. This keyword is believed to be the second stage for searchers. This is because people will tend to search their informational search terms first to gain a further understanding as to what they are looking for. Then they’ll follow up with a search for the specific product, service or company that they have found. Ranking these keywords for a business is only really possible if you are the business they’re searching for. However, this alone means it’s important for your company to target information keywords. If you rank for numerous informational keywords this may lead to people searching for your company in a navigational search afterwards. The final keyword type that individuals will use is Transactional search queries. A transactional search query is a search that indicates an intent to complete a transaction, such as making a purchase or booking a service. It is crucial that businesses push to rank on google for these transactional keyword searches. You’ll find there are many ways that companies can go about this. Firstly, ensuring your content includes many variations of whatever the product is will help people looking for a specific service. This type of keyword is the last search of the three that people will do and has the buying intent behind it. For this reason, this is why these types of queries cost the most on a pay per click campaign because is the most likely the query will convert. In conclusion, ensuring your business is aware of all of these keyword types can be crucial for your marketing strategy. It goes without saying that the transactional searches are certainly the holy grail. For this reason, the queries with the most likely buying intent in them costs the most on PPC because the return on investment to these queries will be the highest. But failing to acknowledge the significance of all of the information, navigational and transactional search terms will likely negatively affect your strategy. Google wants to see you are the expert on the topic of the search term. Creating supporting articles on your website to assist the topic is covered in-depth is vital to earning the trust and authority by search engines. It is advised that before targeting any niche you do an extensive amount of keyword research for whatever your company aims to rank for. Doing so will make sure that the keywords you are targeting are worthwhile. Not every single article you create needs to have monetary value and some blogs might just be created to complete the user intent query answer. By doing this you are still raising brand awareness and hopefully if you cover the whole topic on your website they can navigate around getting all the questions they might have answered to then go onto purchase on your money pages created. 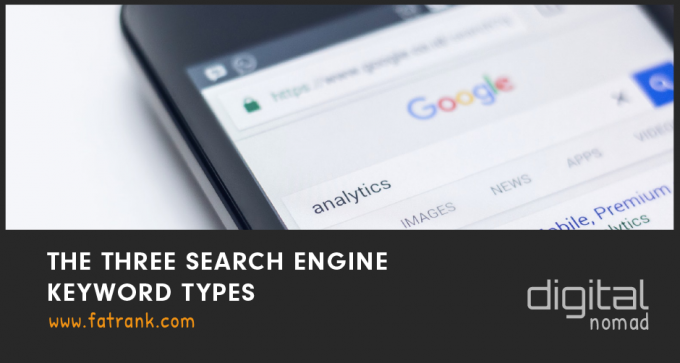 For SEO you really should be looking to cover the whole topic of these Three Search Engine Keyword Types. In SEO there are more informational queries than transactional ones so get yourself blogging frequently and become the expert in your vertical. But from a paid PPC perspective only look to use the buying intent keyphrases under the transactional queries. It’s a scalable and cost-effective way to drives leads and sales. Ever since I teamed up with Rick from Statuo then I could not believe the impact on how fast you can scale adwords when you find your winning campaigns. I have written an article on PPC vs SEO vs Hybrid strategies and if you do not want to read it all through the link then to sum it up then a mixture of all marketing techniques should be implemented to scale your brand and company out. 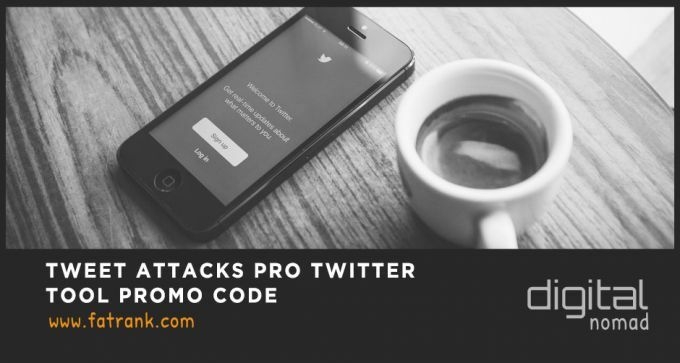 Get yourself out there taking action every day and look to grow your presence online through social media, organic rankings and paid placements.